OSHA Assistant Secretary David Michaels today released a set of Recommended Practices for Safety and Health Programs to help employers establish a methodical approach to improving safety at their workplaces. The recommendations update OSHA's 1989 guidelines to reflect changes in the economy, workplaces, and evolving safety and health issues. Key principles include: leadership from the top to send a message that safety and health is critical to business operations; worker participation in finding solutions; and a systematic approach to find and fix hazards. "We know that working together to implement these programs will help prevent injuries and illnesses, and also make businesses more sustainable," said Dr. Michaels, who released the document at the National Safety Council Congress in Anaheim, Calif. In his remarks, he asked business groups and safety and health professionals to help spread the word through a campaign that encourages creation of a safety and health program using OSHA's recommendations or others. OSHA has agreed to further delay enforcement of the anti-retaliation provisions in its injury and illness tracking rule until Dec. 1, 2016. The U.S. District Court for the Northern District of Texas requested the delay to allow additional time to consider a motion challenging the new provisions. The anti-retaliation provisions were originally scheduled to begin Aug. 10, 2016, but were previously delayed until Nov. 10 to allow time for outreach to the regulated community. Under the rule, employers are required to inform workers of their right to report work-related injuries and illnesses without fear of retaliation; implement procedures for reporting injuries and illnesses that are reasonable and do not deter workers from reporting; and incorporate the existing statutory prohibition on retaliating against workers for reporting injuries and illnesses. OSHA today released its preliminary list of the10 most frequently cited safety and health violations for the fiscal year, compiled from about 32,000 workplace inspections. Top hazards include lack of adequate fall protection, unsafe scaffolds, hazard communications problems, and lack of machine guarding. More than 4,500 workers are killed on the job every year, and approximately 3 million are injured, despite the fact that, by law, employers are responsible for providing safe and healthful workplaces. Our list is far from comprehensive, but if all employers simply corrected the top 10 hazards, OSHA believes the number of deaths, amputations and hospitalizations would drastically decline. For the full list and more information, see the blog. Inspections of four Lehigh Valley worksites found that Station Builders Inc. did not provide fall protection for its workers, exposing them to imminent danger. OSHA also issued repeated citations involving failure to provide personal protective equipment, improper use of portable ladders at the worksites, and failure to conduct frequent and regular worksite inspections. Proposed penalties total $291, 997. See the news release for more information. Frame Q LLC of Fairview also received two repeated violations for failing to provide workers with fall and eye protection. OSHA cited the framing contractor for the same hazards in March 2014 at a work site in nearby Englewood Cliffs. Proposed penalties total $222,697. For more information, see the news release. Acting on a complaint, OSHA inspected Columbia Recycling Corp.'s plant in Dalton, Ga., and cited the company for five repeated, three serious and one other-than-serious safety and health violations that exposed workers to hazards on the job. Repeated citations against the employer include failure to administer an effective hearing conservation program, properly store and handle liquefied petroleum, and outline clear procedures to shut down and secure machines and equipment during maintenance and other activities. Proposed penalties total $317,814. For more information, see the news release. Each year, hundreds of workers suffer injury and many die when trench walls collapse and bury them in soil and rock that can weigh several thousand pounds. OSHA recently took action against employers in three states who endangered employees working in trenches. In Boise, Idaho, OSHA responded to a worksite after the police department alerted the local office that a trench 9 to11 feet deep had caved in and buried three workers who were doing underground utility work for Hard Rock Construction Inc. The collapse killed the crew's foreman and another worker, and hospitalized the third laborer with serious injuries. OSHA inspectors found that the employer had failed to provide cave-in protection systems or a ladder to enter or exit the trench, did not have a competent person conducting inspections, and failed to train its workers on the hazards of working in trenches. The agency issued three serious citations and one willful citation, and assessed penalties of $77,319. Details are in the news release. In Stevens Point, Wis., employer Earth Inc. faces penalties of $93,532 after OSHA inspectors found the company risked the lives of at least two employees working in an unprotected 9-foot- deep trench. OSHA's trenching standards require protective systems on trenches deeper than five feet, and require employers to ensure that soil and other materials remain at least two feet from the edge of a trench. In this case, OSHA's inspection determined that a competent person employed by the company was aware of the hazardous conditions but still allowed the worker to enter the trench. More information is in the news release. In Oak Park, Ill., less than three weeks after citing Og Plumbing Inc. for exposing workers to unsafe trenches, OSHA saw the Chicago-based plumbing contractor once again exposing the same four-man crew to trenching hazards as they worked on sewer and water utilities. An OSHA investigator observed that, after leaving the worksite, employees re-entered the unprotected trench but scrambled out after the investigator returned; soon after, a large section of the trench wall collapsed. For the company’s wanton disregard for the safety of its workers, OSHA proposed penalties of $275,728 and placed the company in its Severe Violator Enforcement Program. For more information, see the news release. OSHA has cited Boston's Stavis Seafoods for 20 serious violations of workplace safety and health standards following the death of a worker. An inspection of its Braintree facility found that deficiencies with the ammonia refrigeration system and equipment exposed workers to a catastrophic release of ammonia from a burst pipe. OSHA also found that the alarm system for the ammonia machine room was not working and that the employer failed to train workers adequately in emergency evacuation procedures. Proposed fines total $173,168. For details, see the news release. The following is a recent example of an enforcement case from a state occupational safety and health program. For more examples of state and federal enforcement cases, visit OSHA's online enforcement penalties map. California OSHA cited Big Pines Ziplines $85,000 for serious and willful safety violations after a member of the public suffered a broken leg while riding one of the company’s lines in Wrightwood. Cal/OSHA investigators found that Big Pines let riders reach speeds of up to 55 mph on lines more than a quarter-mile long that had no effective emergency braking system. Investigators learned that Big Pines continued to operate unsafe zip lines after being ordered to stop and also endangered workers by compelling them to test unapproved safety features. For more information, see the news release. The Labor Department has settled a lawsuit against Lear Corp., doing business as Renosol Seating LLC, and three of its managers. Lear agreed to reinstate an employee it had fired for complaining about health conditions at its plant in Selma, Ala. The manufacturer of automotive foam seating also agreed to compensate employees who had been suspended, post OSHA information about workers’ rights and whistleblower rights in the workplace, and to provide worker rights training to employees. The company noted in the settlement that “it has made substantial upgrades at the Selma plant to the health and safety conditions in work facility spaces where employees are exposed to chemicals used in the foam-making process. For more information, see the news release. 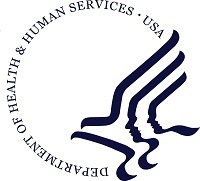 OSHA has published a final rule that establishes procedures and time frames for handling whistleblower complaints under the Affordable Care Act. The ACA protects employees from retaliation for receiving Marketplace financial assistance when purchasing health insurance through an Exchange. It also protects employees from retaliation for raising concerns regarding conduct that they believe violates the consumer protections and health insurance reforms found in Title I of the ACA. For more information, see the news release. Emergency workers, employers and the public face exposures to serious hazards as they recover from Hurricane Matthew. Post-storm cleanup often presents hazards associated with restoring electricity, communications, water and sewer services. Activities such as tree trimming, road and structural repair, and hazardous waste operations can also pose serious dangers to workers' safety and health. "Recovery work should not send you to the hospital emergency room," said Kurt Petermeyer, OSHA's regional administrator for the Southeast. "You can minimize these dangers with knowledge, safe work practices and personal protective equipment." OSHA's website provides guidance to keep disaster-site workers safe in tornado and storm cleanup and recovery operations. Read the news release for links to OSHA storm-related cleanup resources. Since January, grain-handling facilities in Nebraska and Kansas have had four preventable incidents that resulted in two deaths. In March, a superintendent at a grain-handling site in Prosser, Neb., suffered fatal injuries caused by an operating auger as he drew grain from a bin. In May, a maintenance worker in West Point, Neb., died from injuries suffered when a wall of corn product in a grain bin collapsed and engulfed him. Other incidents also involved workers becoming trapped in a grain bin or injured by augers, including the amputation of a worker’s leg in Ellsworth, Kan.
OSHA urges industry employers and workers to implement safety and health programs to avoid similar tragedies. OSHA officials spoke at several grain and feed association meetings in Nebraska and Kansas on the most common hazards in the grain industry, which include engulfment, falls, auger entanglement, "struck by," combustible dust explosions and electrocution. For more information, see the news release. OSHA and the Department of Transportation's Pipeline and Hazardous Materials Safety Administration developed a guidance memorandum that clarifies the appropriate labeling of hazardous chemicals during transport and in the workplace. DOT's Hazardous Materials Regulations require labels to identify the potential dangers of handling packages containing hazardous materials or a sudden uncontrolled release of hazardous materials during transport. These labels must be displayed or provided with a shipment during transport. OSHA's Hazard Communication Standard requires labeling the immediate container with hazard information or transmitting the required label with shipping papers, bills of lading or by other electronic means so that it is available to workers. Read the memorandum for more information. OSHA issued a Notice of Proposed Rulemaking to add two quantitative fit-testing protocols to the agency's Respiratory Protection Standard. The proposed protocols are variations of the existing OSHA-accepted PortaCount® protocol, but differ from it by the exercise sets, exercise duration, and sampling sequence. The protocols would apply to employers in the general, shipyard and construction industries. 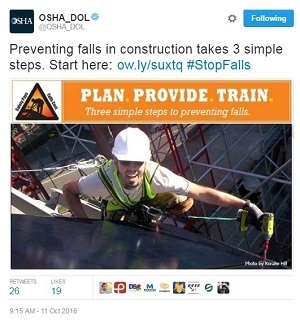 OSHA invites the public to comment on the accuracy and reliability of the proposed protocols. Individuals may submit comments electronically at www.regulations.gov, by mail or facsimile by Dec. 6. For more information, see the news release. As part of an ongoing effort to revise provisions in its standards that may be confusing, outdated or unnecessary, OSHA is proposing 18 changes to the agency's recordkeeping, general industry, maritime and construction standards. "The changes we propose will modernize OSHA standards, help employers better understand their responsibilities, increase compliance and reduce compliance costs," said Assistant Secretary of Labor for Occupational Safety and Health Dr. David Michaels. Individuals may submit comments electronically via www.regulations.gov, by facsimile or mail by Dec. 5. See the news release or Federal Register notice for details. OSHA and the Electrical Joint Apprenticeship and Training Trust in Alsip, Ill., have signed a two-year renewal of their alliance to provide information, guidance and access to training resources to electrical employers and workers. Through the trust, the International Brotherhood of Electrical Workers, Local Union No. 134 and the Electrical Contractors' Association of the City of Chicago sponsor an apprenticeship program for prospective electricians in Cook County. First signed on May 16, 2012, the alliance continues the joint effort to: develop effective training programs, provide safety seminars, encourage worker participation in employer safety and health programs, and share information on workplace safety and health laws. For more information, see the news release. The Dry Bacon Manufacturing plant at the Westin Packaged Meats facility in Fairbury, Neb., contacted OSHA's On-site Consultation Program for assistance with hazard identification and improvement of its safety and health program. Working with OSHA’s consultants, the company empowered employees to seek and report potential hazards and make suggestions to plant managers for safety improvements at all levels of the organization. As a result of its efforts, it was accepted into OSHA’s Safety and Health Achievement Recognition Program, which recognizes small business employers who operate an exemplary safety and health program. For more information, see the success story.